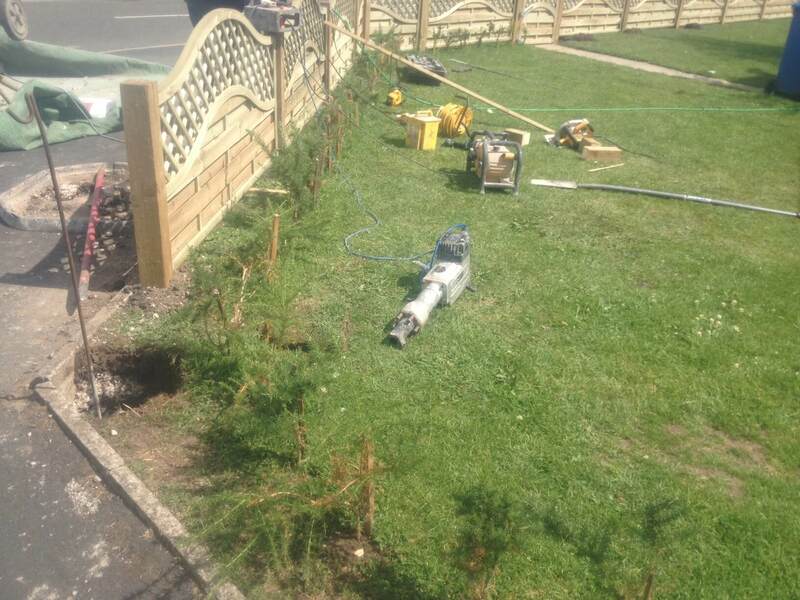 Here we were erecting a 3ft high Omega lattice top fence with timber posts concreted into the ground.The new fence was installed around the whole perimeter of the garden to prevent people and dogs from cutting across the lawn area. 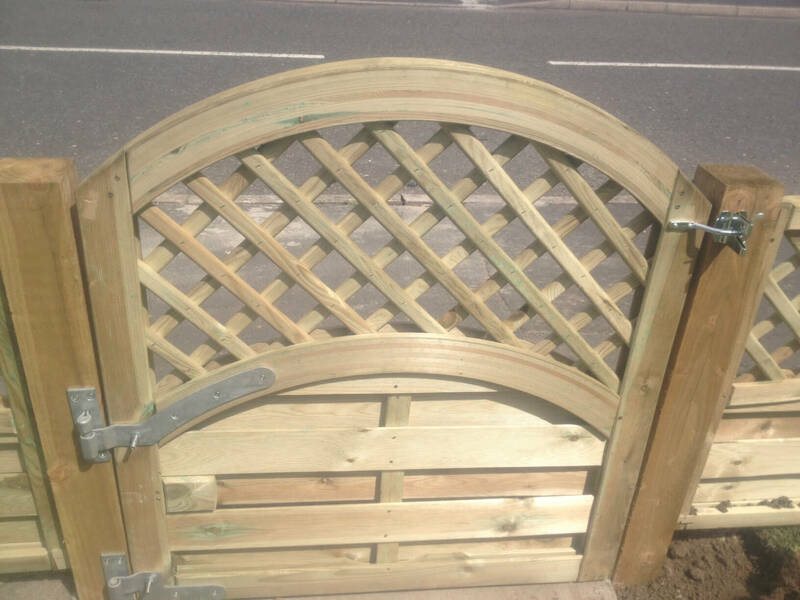 We were also installing a new gate to match the fencing. 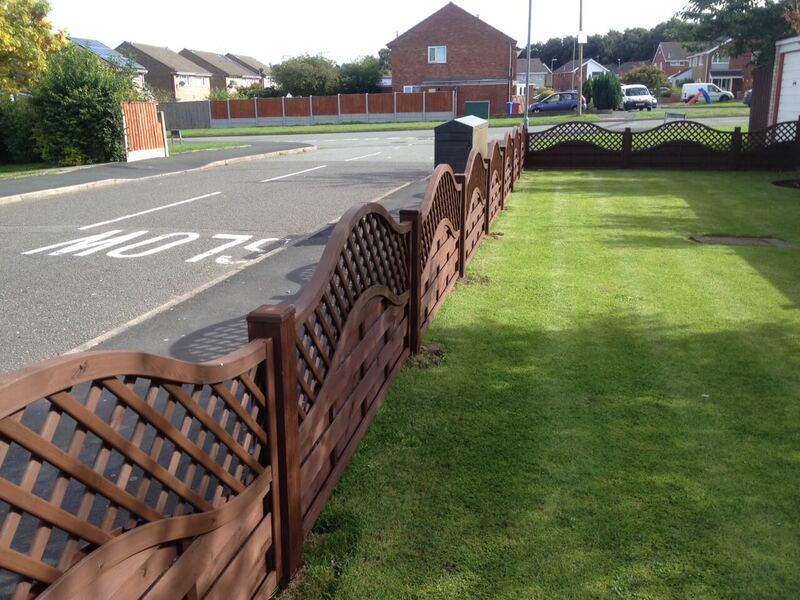 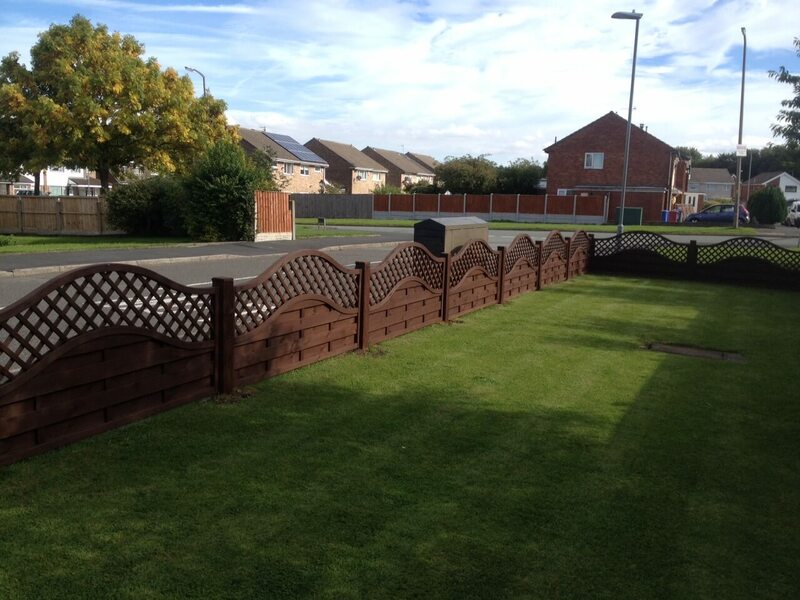 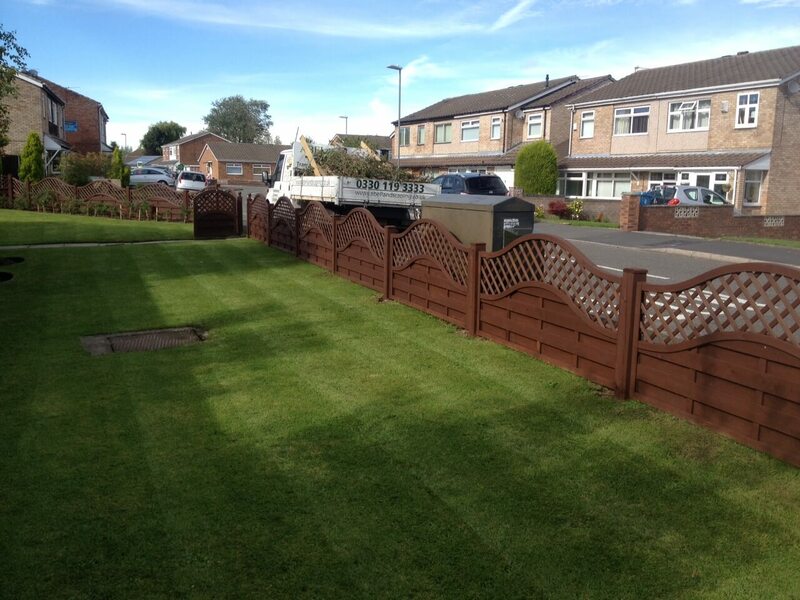 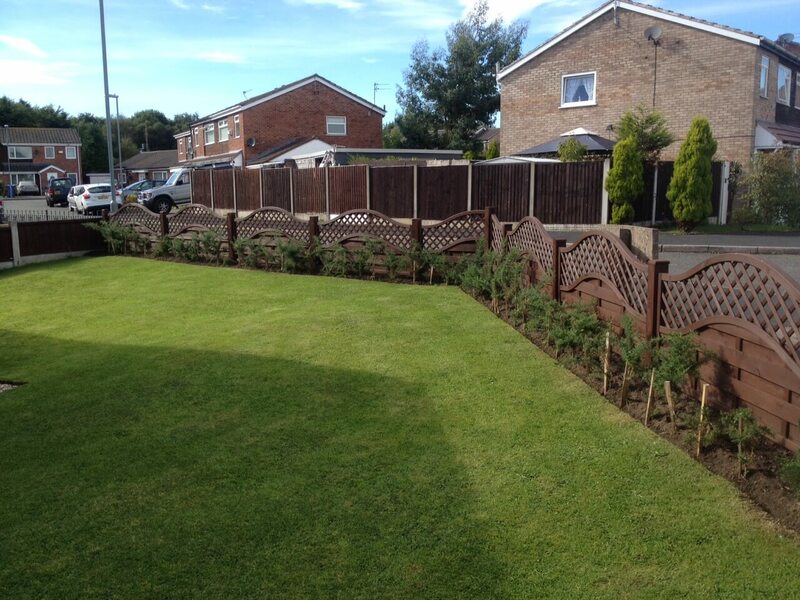 This fencing project was carried out at Halewood area of Knowsley in Merseyside.